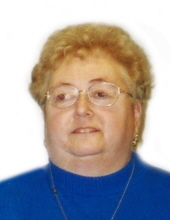 Judith I. Hoffert 75, of Waterloo, formerly of Evansdale, died Thursday August 2, at Northcrest Specialty Care. She was born September 18, 1942, in Waterloo, the daughter of Alfred E. and Eleanor Mullen La Plount. She married Raymond Hoffert in 1958, in Dubuque. He died April 25, 1997. Judith was a homemaker. Survived by: a son, Michael (Darlys) Hoffert of Waterloo; two daughters, Sharon Hoffert and Kathleen Hoffert, both of Evansdale; a sister, Loretta Metcalf of Evansdale; four grandchildren, Ryan Hoffert, Brandt Kelly, Sara (Todd) King and Justin Helms; two great-grandchildren, Alyssa and Austin King; a nephew, Dewane Metcalf; a niece Lorraine Andrea; and a very good friend, John Boland. Preceded in death by: her husband, and her parents Services: 11:00 a.m. Monday, August 6, at Hagarty-Waychoff-Grarup Funeral Service on South Street with burial to follow at Garden of Memories Cemetery. Visitation will be from 2-4:00 p.m. on Sunday at the funeral home and for an hour before the service. Memorials may be directed to the Cedar Valley Humane Society or the American Cancer Society.